Throughout its history, country pursuits have always been a major part of the Belvoir Estate calendar – and today we have a wide range of options available to suit all tastes throughout the year. Come and enjoy a brilliant day’s shooting at Belvoir. If you’re looking for a unique idea for your next corporate event or just fancy a great day’s shooting with a group of friends, the Belvoir Estate has it all. For help with planning your individual and memorable shoot experience, please contact our Shoot Events Manager on 01476 871004 or contact us here. We constantly strive to improve and develop the shoot, presenting the highest quality driven birds in the best possible way. Your shooting party can either be based at Belvoir Castle itself, or in the more intimate surroundings of Croxton Lodge in beautiful countryside about four miles from the Castle, near the village of Croxton Kerrial. Whichever venue you choose, the Belvoir team will deliver the warmest welcome and hospitality to you and your guests – including fine wines, roaring fires and top quality food prepared by our in-house chef. 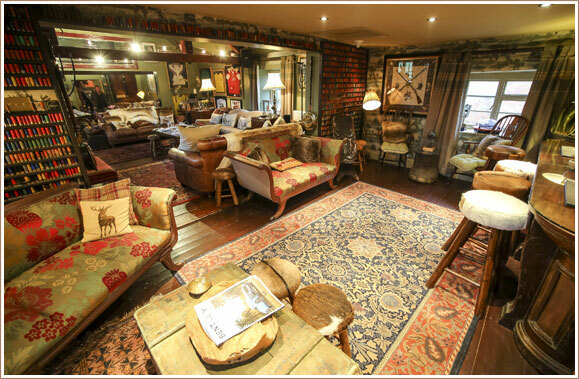 We’ll tailor everything to suit you – but however you plan your day, you’ll be treated to an abundance of great shooting, great food and drink, and great company. Sometimes one day just isn’t enough. 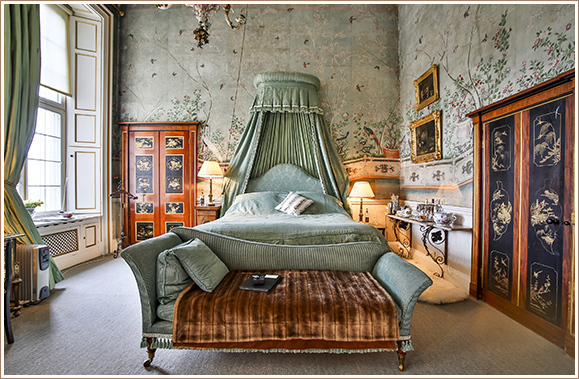 Why not stay for a night or two and really savour the Belvoir experience? Choose from our magnificent state bedrooms, have dinner in the Duke and Duchess’s private quarters or throw a medieval banquet for your guests. Belvoir will be your home for the duration of your stay, and the possibilities are endless. We can also offer bespoke evening entertainment such as whisky tasting or a casino night – all arranged with the closest attention to detail. Nestling in remote parkland with superb views over its own lakes, the luxurious Lodge has been sensitively decorated by the Duchess of Rutland to create a warm, friendly atmosphere. There are 8 fabulous bedrooms to choose from – all en-suite and beautifully appointed. 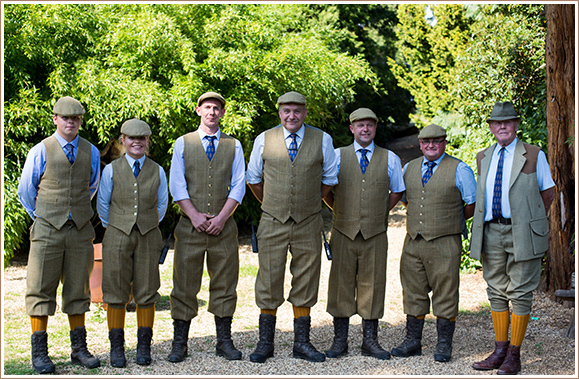 The Belvoir Shoot Team is led by Shoot Captain and Estate Manager Phil Burtt. A passionate sportsman with many years of experience, Phil heads up a top team dedicated to delivering you a world class shoot. Phil’s team includes right hand man Nick Pacey, five full-time gamekeepers and a small army of beaters, loaders and pickers up. Just a quick note to thank you for helping to organise what was really a fantastic experience at Belvoir. My guests and I were blown away by the setting and the food and service, to say nothing of the shoot which was truly spectacular. Her Grace and Phil were very kind, and the whole package just seemed effortless, which is normally a good indication of just how much hard work goes on behind the scenes. Thanks again to everyone at Belvoir. (To the Duchess): A deep and heartfelt thank you for your and Philip’s hospitality over the last few days. The effort put in by both of you and your team to make sure that the Guns had not only a great two days’ shooting (some truly memorable duck that will stay with me for a long time) but also that we were fed, watered, wined, dined and generally looked after so superbly is hugely appreciated. Many thanks to you and the whole team. All my team agreed that the time we spent with you was the best shooting experience we have ever had (and some of them have done many years of shooting). Find out more about what we can offer at our Shoot page. Enjoy a day of fishing on the Belvoir Estate where you’ll find lots of options. The lakes at Belvoir comprise two waters – a 12 acre lake known as the Lower Lake, and the ¼ acre Small Lake. They are both typical estate lakes – shallow and silty, with a variety of features to fish including islands, streambed fallen trees, bloodworm beds and waterfalls. Covering an area of 40 acres and surrounded by mature woodland with a wealth of wildlife, the reservoir is in a stunning location on the Belvoir Estate. There are no main roads, railway lines, flight paths or street lights to detract from the peace and tranquillity – just fantastic surroundings and a place to get away from the world and catch some stunning English fish. The Memorial fishing lakes were originally conceived by Capability Brown over 200 years ago – and following extensive renovations, his plans have finally been realised with the lakes now open to the public for the first time ever. Day tickets and syndication memberships are available – please contact AJS Fisheries for more information. 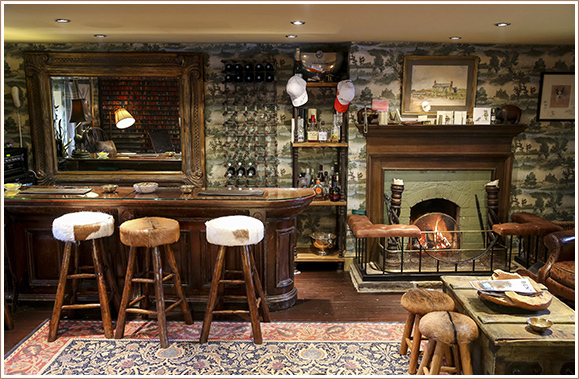 Enjoy a luxurious riding holiday or memorable hunting excursion on the Belvoir Estate. Belvoir Castle and Croxton Lodge offer a unique base for your hunting or riding experience. 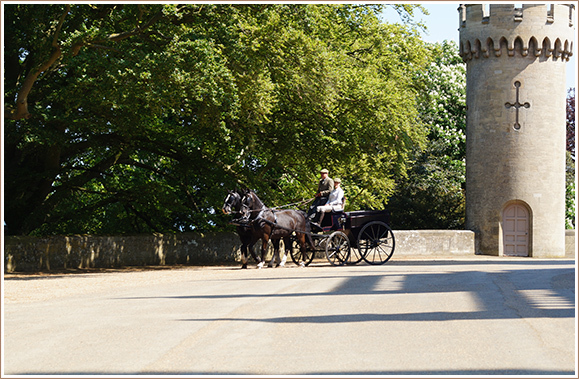 We can craft you a bespoke tour – with unrivalled horses, hospitality and lodgings. To plan your own unique hunting or riding break at Belvoir, call 01476 871001 or contact us here. You may already be familiar with the famous Belvoir Hunt, one of the world’s most celebrated fox hunts. The Duke owns the hounds which are kennelled at the Castle. 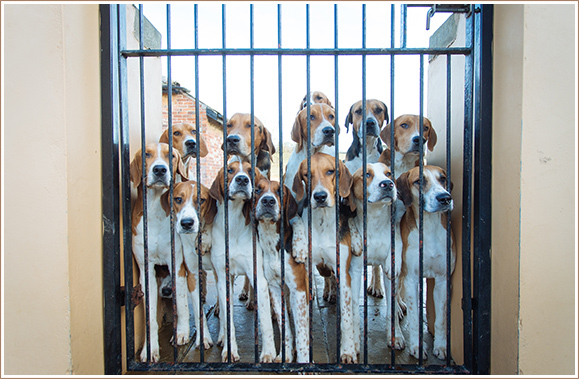 There’s more about this iconic hunt at www.belvoir-hunt.co.uk. Thanks to its location in the heart of the Shires, Belvoir is within an hour of some of the best hunting in the country with the Belvoir, the Quorn and the Cottesmore offering a total of 7 packs in Leicestershire, 7 in Lincolnshire and 5 in Nottinghamshire. 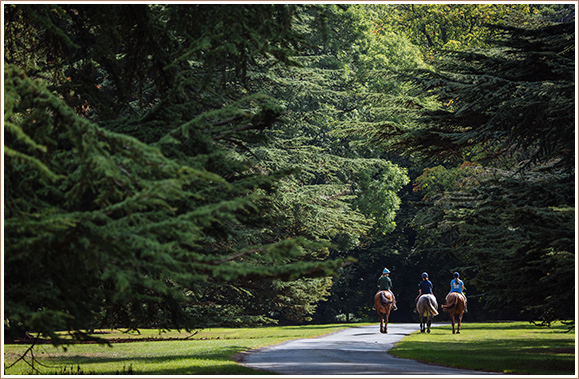 Summer riding excursions are also available, with access to private areas of the Belvoir Estate with its breath-taking Capability Brown landscaping, and the surrounding countryside bridleways and woodlands. There are a number of established and experienced hireling companies in the area, with plenty of choice to suit all levels and abilities. We’ll help you find the best mount for your needs, and plan your hunt or ride to suit your ability and requirements. Steeped in hunting history since medieval times, the Belvoir Estate is renowned for entertaining guests in style. Choose from the magnificent state bedrooms in the Castle itself or opt for the more intimate surroundings of Croxton Lodge, with its luxurious ensuite rooms and cosy lounge areas. Whichever option you choose, there’s exceptional fine dining thanks to the Castle’s own in-house chef – from hearty hunting breakfasts and post-riding afternoon teas to 5-course dinners with wine from the Castle’s cellars. If hunting or riding isn’t your cup of tea, there are plenty of other activities to keep you amused – including historical and art tours of Belvoir Castle and other local country estates, and garden tours with Belvoir’s Head Gardener. And London’s theatres, museums and shopping are just over an hour away by train. Check our Event Diary for the latest activities to enjoy at Belvoir. 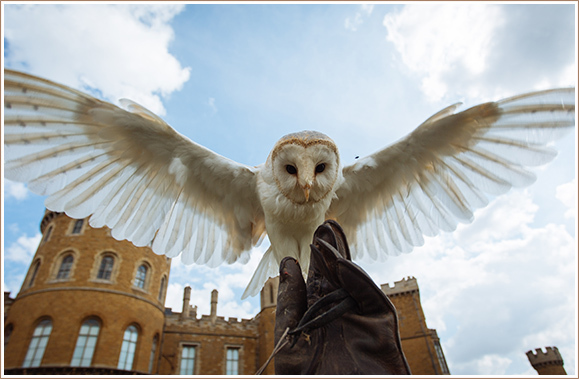 Belvoir Castle is home to 3 birds of prey – Scooby and Rodney are 7 year old Harris Hawks, and Persil is our tame barn owl. They live in converted game larders situated in the Castle’s central courtyard – keep a look out for them next time you visit! 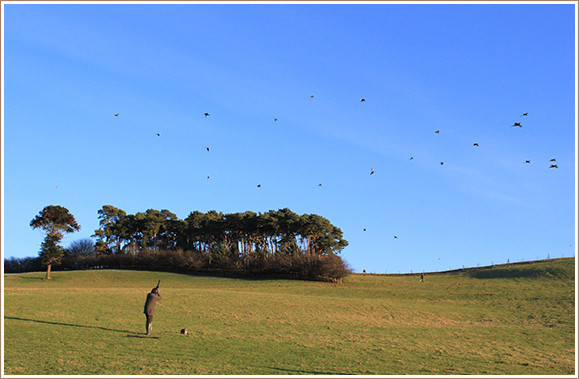 The birds are looked after by an enthusiastic and dedicated team of handlers, led by Rhi Clark. Every day they are carefully weighed, checked, cleaned, fed and flown. They have an important day job – chasing pigeons off the Castle’s lead roof, but they also regularly attend local charity events. Our tame barn own Persil is 6 years old and much loved by his handlers. He’s very popular with visitors as he is so approachable. In the summer months, all three birds are flown for school groups visiting Knipton Cricket Fields as part of the Duchess’s Cricket Trust. We are always happy to take the birds out to local schools for demonstrations and educational talks – to find out more, please contact us on 01476 870035. Being a bird handler (or ‘Hawker’) demands a high level of commitment, but we do welcome new recruits to join our team of volunteers. If you’re interested in volunteering, please contact Rhi Clark on 01476 870624.